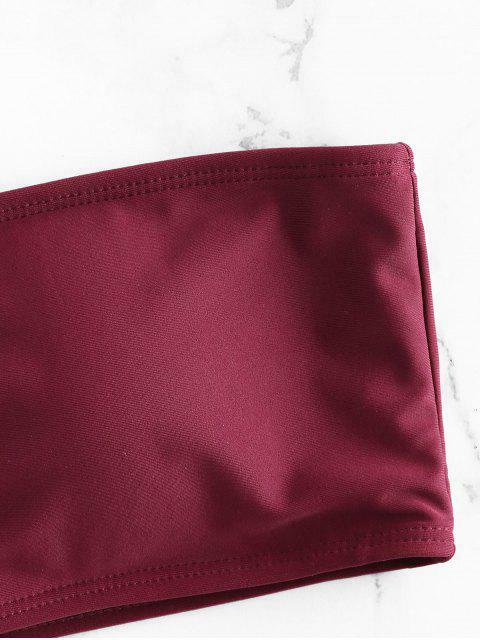 [10% OFF] 2019 Lattice Side Bandeau Bikini In RED WINE | ZAFUL ..
Lattice details on sides put a playful look on this flattering swim bottom with perfect high cuts. And a bandeau top is included to complete the solid but stylish style. Pair the bottom with crop tees or wrap tops will look great.